Art, Coffee, and Politics, Oh My! 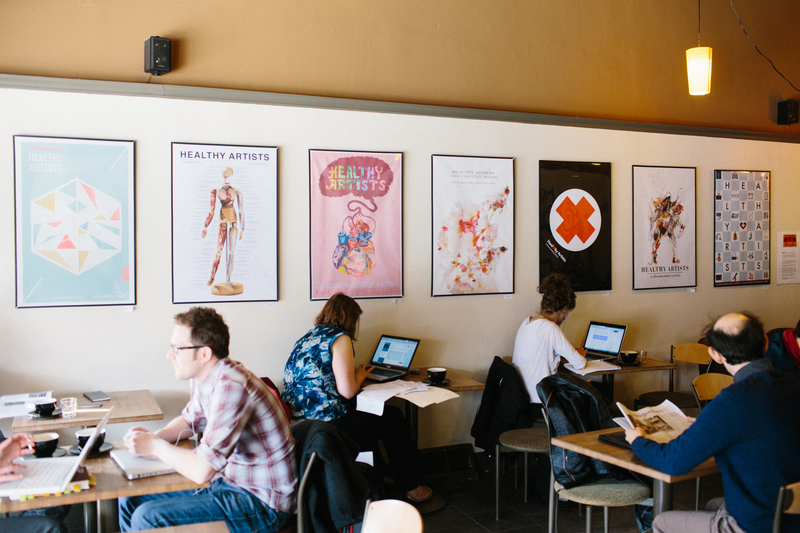 We’re happy to announce that 7 of our Healthy Artists posters will be hangin’ at Commonplace Coffee in Squirrel Hill (Pittsburgh, PA) for the month of April! Make sure to stop by, check out the art, and enter a dialogue about how the US health care system could work better for you and your community. We’ve got some free educational materials there for ya too! Art consciousness on behalf of progressive change is a huge contribution! Onward to a better world, one art project at a time.